Home SEO How to add Meta Keyword Automatically and Manually for Bloggers. How to add Meta Keyword Automatically and Manually for Bloggers. How to add Meta Keywords Automatically and Manually for Blogs - Hello friend reader. On the occasion of this article, I want to share with Blogger friends how to add or create automatic and manual meta keywords on Blogger. Actually, search engines no longer use meta keywords as a determinant of blog article rankings in the Search Engine Results Page (SERP). However, I want to share this for all who are want to put meta keywords on your blog. Before I proceed to the tutorial on installing meta keywords on a blog, it's good to know first what meta keywords are. Following is the discussion. What is the Definition of Meta Keywords? 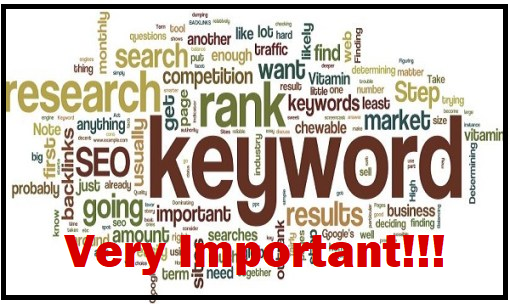 The Meta Keyword Functions To Provide Website Keyword / Keyword Information. Like, "Learning SEO, SEO Guidelines, Internet Marketing,". Meta keywords are a tag or code to allow search engines to know what keywords or keywords are targeted by the installer. In essence, meta keywords are used so that the installer's blog article can be found in the SERP according to the keyword. Why are Meta Description, Keyword, and Title in WordPress Important? Boosting the ranking of a website on a search page using SEO is an effective way you can do it. To do this you need to add meta tags such as the meta keyword, meta title, and meta description in the post. You can fill the Meta title with a brief explanation of the theme or topic you are reviewing. This function is to 'tell' the system about what you want to convey. Meanwhile, the meta description has two functions. First, it makes it easy for search engines to know a summary of your content. Second, attract visitors to access your website. The benefits of this meta news keywords are of course to help Google recognize the emphasis on every news published by a blog or news website. Every article must use different meta news keywords. In this meta tag, a maximum of 10 keywords is included and don't try to do more than that. These Meta news keywords are so flexible that you are free to express what news you are discussing. It doesn't even matter if there are some words that don't exist at all in the Title or content of the article. For example, you write sports news "Spain versus Italy", does not mean that in the article there must be the word "versus". After knowing the meaning of Meta Keywords, it's time to tell friends how to apply or install meta keywords on your blog. In applying Meta Keywords, there are 2 ways, namely by setting keywords automatically or setting keywords by the manual method. Here's a tutorial on how to install automatic and manual meta keywords for Blogs. How to add Meta Keywords Automatically for Blogs If you use the method to install this automatic meta keyword, the keywords in the meta keywords code will automatically take from the title of the article and the title of your blog. Here's a tutorial on how to add automatic meta keywords for Blogger. Step 1 - Login to Blogger. Step 2 - Select the Template menu then click Edit HTML. Step 4 - If already, click save template. How to add Meta Keyword Manually for Blogs If you install this manual meta keyword, that means you have to determine what keywords or keywords your friend needs so that your blog can be found easily on search engines. Here's a tutorial on how to add manual meta keywords for a blog. Step 2 - Click the Template menu then click Edit HTML. <b: if cond = 'data: blog.homepageUrl == data: blog. Step 4 - Change the text "Keyword 1" and "Keyword 2" with the keywords you need. An example of a meta keyword or description is like "According to my.com, the best site for learning Blogging and SEO"
Step 5 - Click Save Template. Well, that's how easy the tutorial is and how to install automatic and manual meta keywords for blogs. Maybe useful.